Hi Everyone! 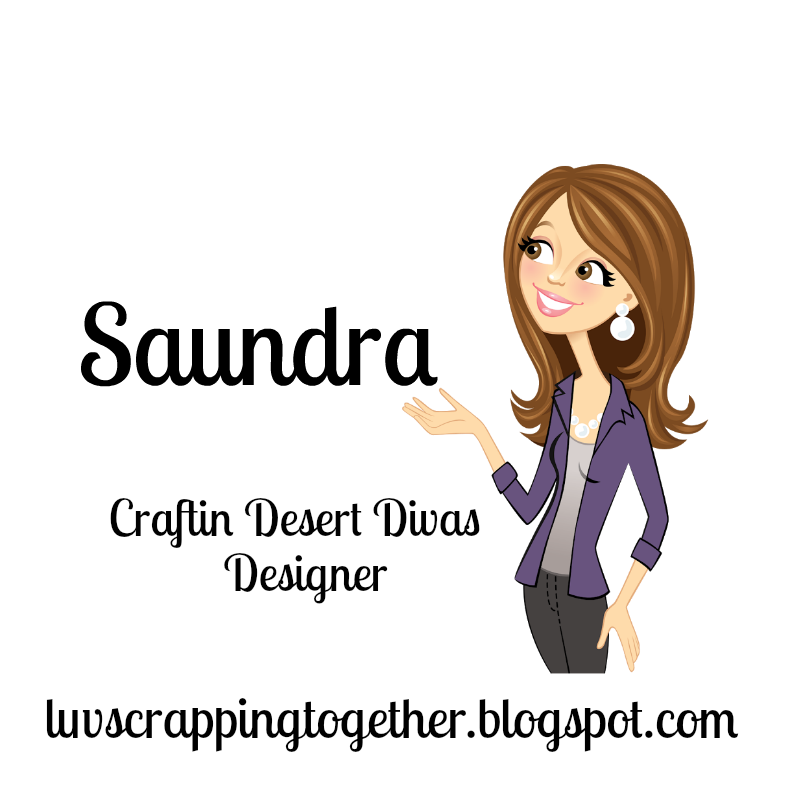 This is Saundra from Luv Scrapping Together. 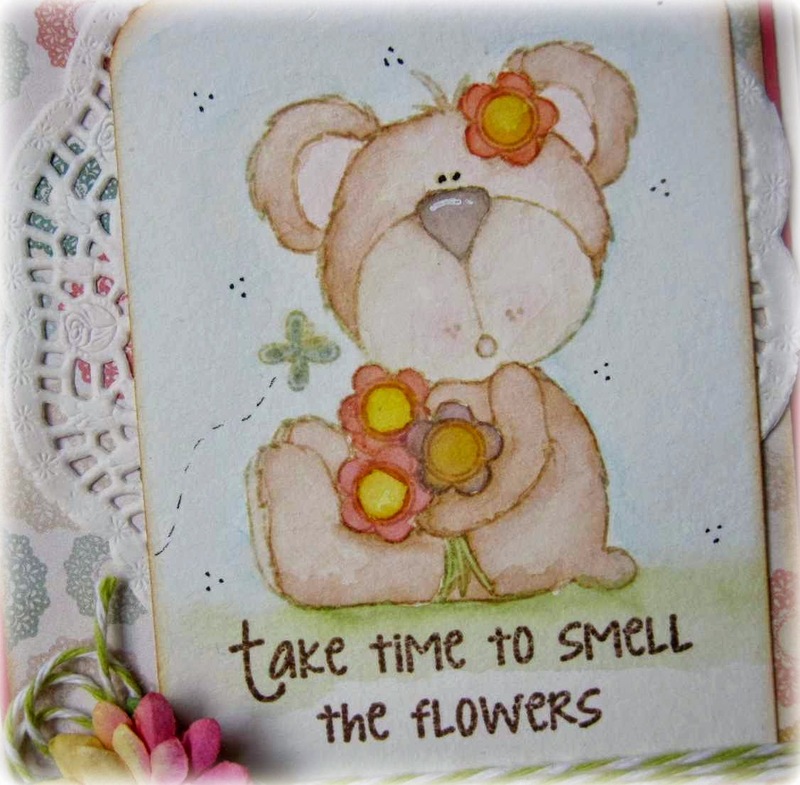 Today I am sharing this sweet card that I made with the Blooming for You stamp set. This stamp set contains both sentiments and images. 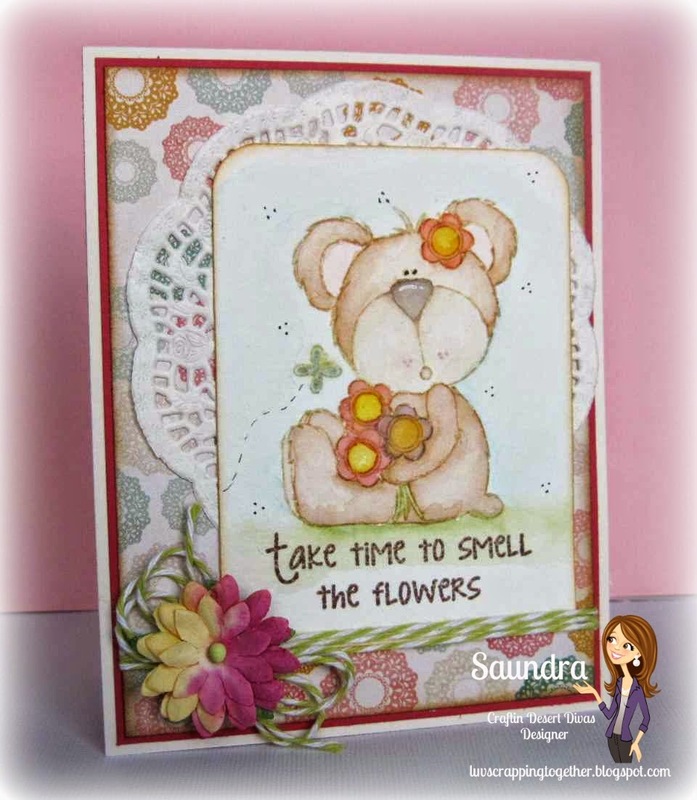 I chose to use the cute bear from this set to be the focal point of my card. I thought I would be a little brave and try my hand at some water coloring. Here is a little close up of the image . The sentiment is also in the "Blooming For You" set. Here is a look at that stamp set. you can find this set and many more in the Craftin' Desert Divas Shop. What an adorable little bear. You did a great job on his coloring.